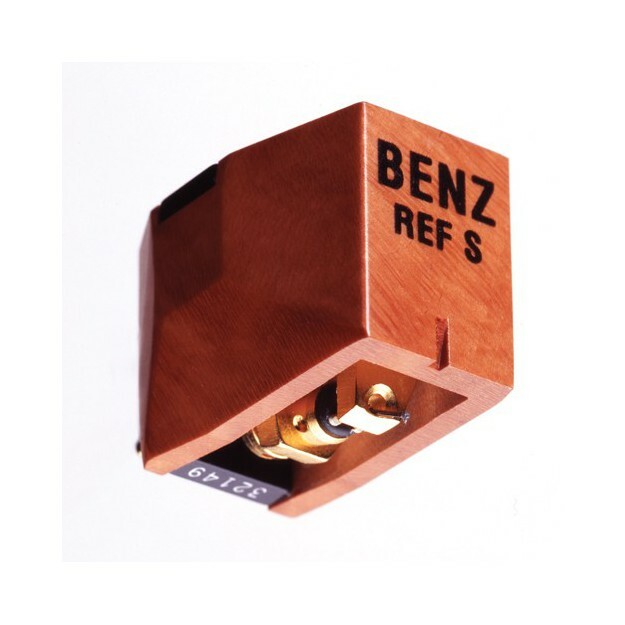 The new Benz Micro Reference “S” Hi-Fi cartridge (the fourth) clearly leans toward performance, musicality and subtlety. It symbolises the culmination of many years of research and studies. It features new materials and new designs for stylus/cantilever assembly suspension and motor coiling systems. A Micro Ridge stylus profile is fitted to a new, extremely hard cantilever. 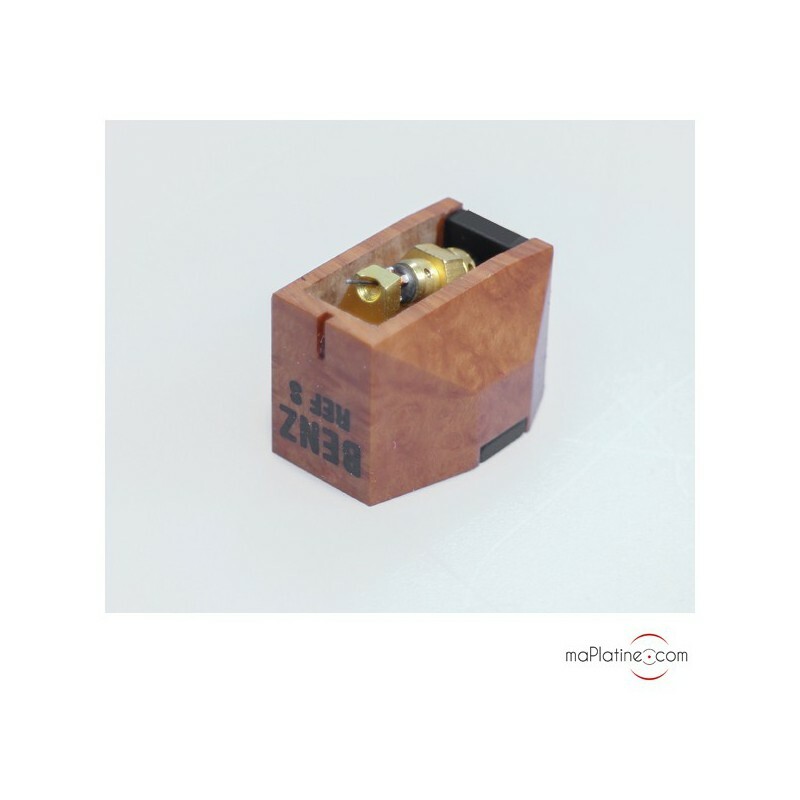 The cantilever of the Benz Micro Reference S cartridge is made out of boron and is 5.5 mm long. This one has been particularly optimised to minimise resonance and improve tracking ability. The generators have been enhanced with brand new helical coils. They use very pure, “Pure Iron Cross” copper conductors. 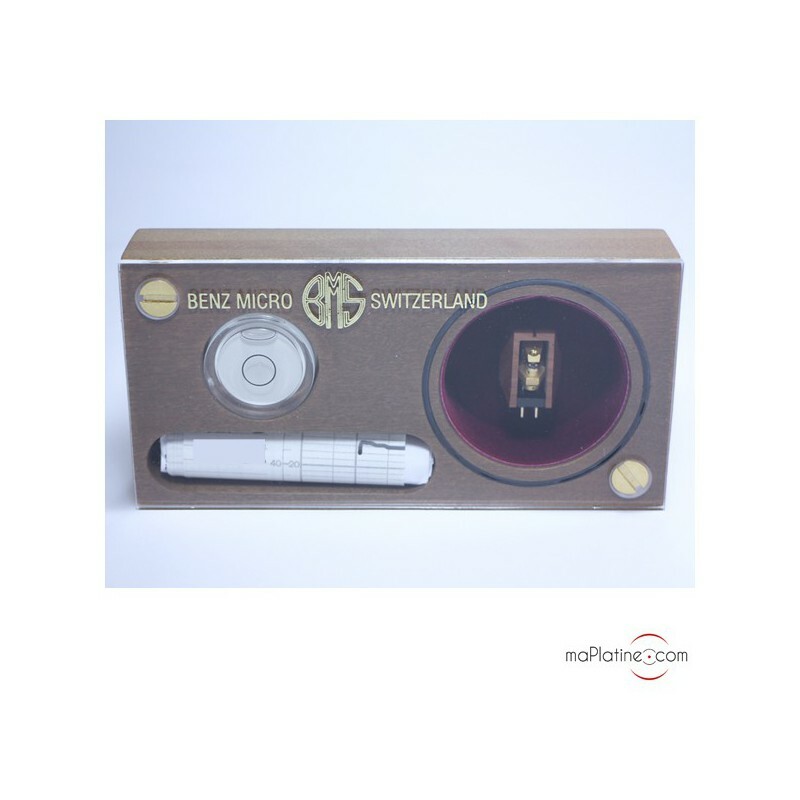 The magnets produce a very powerful magnetic field, which, in spite of the coils low weight, makes for a sufficient output level. They are very similar to those used in the Benz Micro EBONY L cartridge. 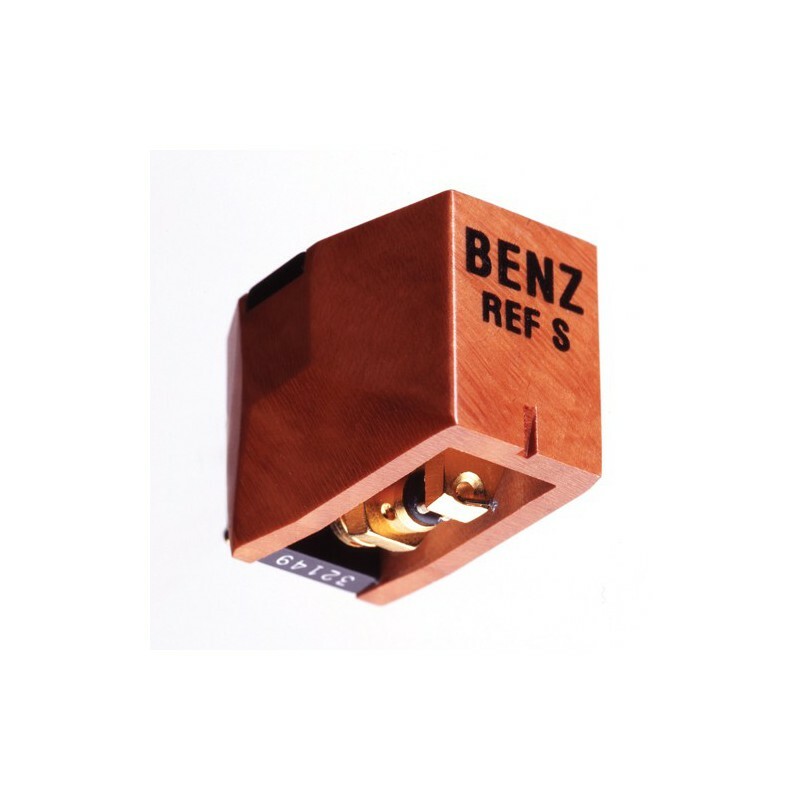 Moreover, this Benz Micro Reference S has an output level of 0.26 mV. 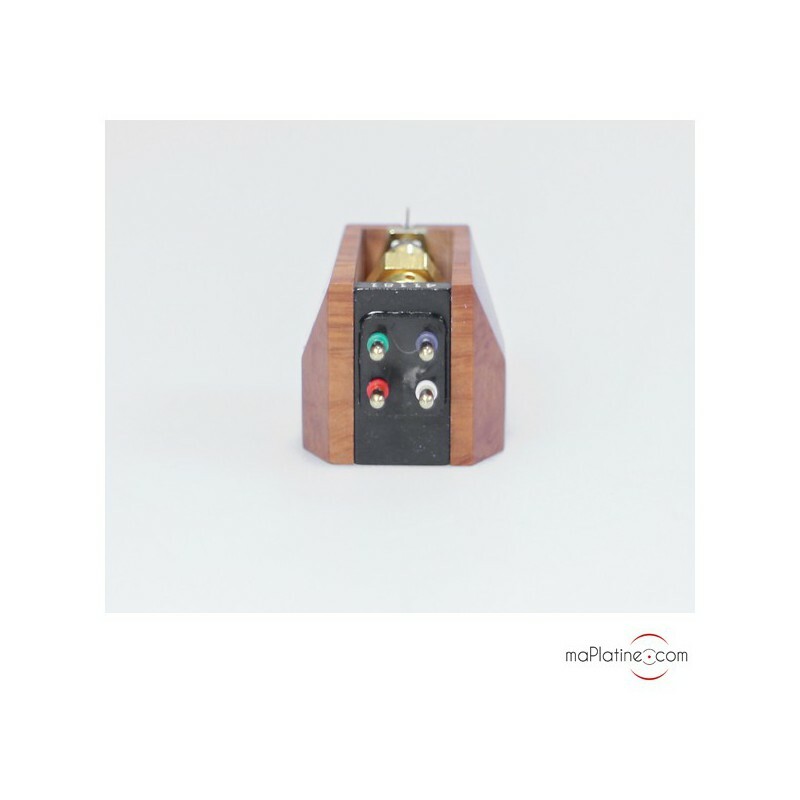 This means that it is a match for phono preamplifiers with a gain of 60 dB or higher. 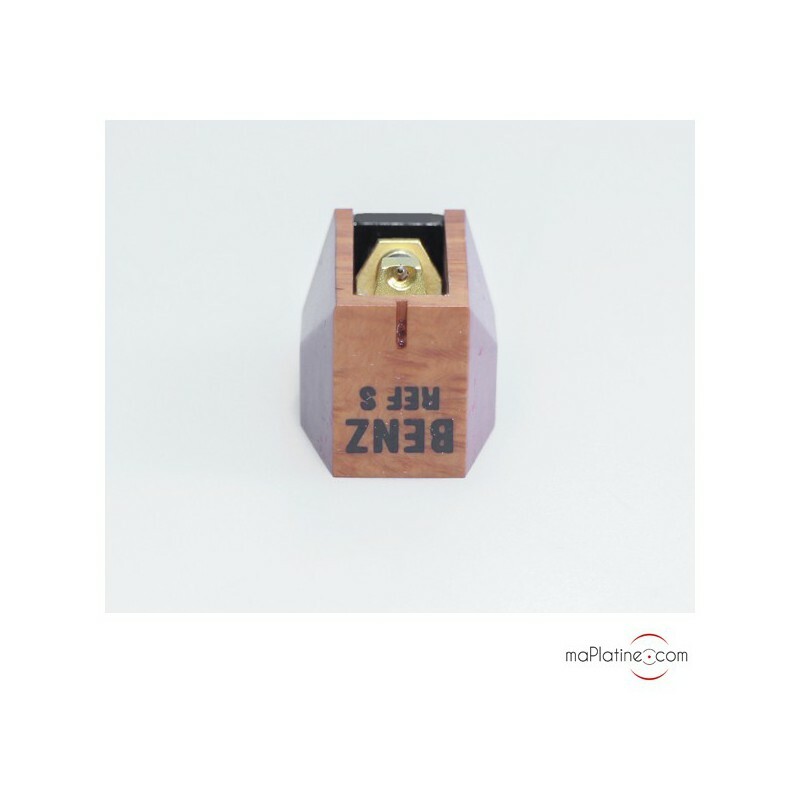 The Benz Micro Reference S phono cartridge is fairly simple to use. Its square looks make it easy to align. We achieved an excellent tonal balance with a tracking force of 1.8 g and an anti-skating of around 1.5. VTA has to be carefully adjusted, but it remains simple to do so. We recommend a higher load than 250 Ohms. For instance, a 500 Ohms load produces good results and a 1 KOhms was perfect on our system. 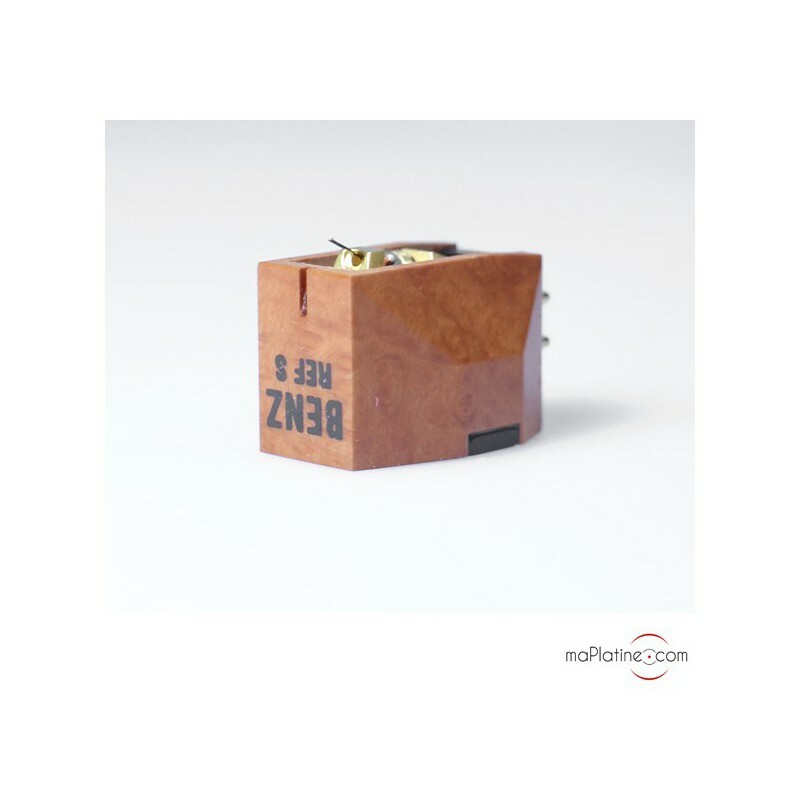 The sound quality of this Benz Micro Reference S Hi-Fi cartridge is clear and particularly nuanced. High frequencies come through with an extraordinary finesse. They show outstanding precision and are completely devoid of distortion or harshness. The dynamic range is remarkable: the weaker signals come through clearly and ‘Fortes’ are devastating! It’s like hearing a master magnetic tape. There is no compression and no dynamic ‘packing’ to be heard here. Its wooden body might evoke a more or less marked colouration; but there is none. Mids are surprisingly clean and neutral. Bass is perfectly integrated with the rest and remains full and well articulated. As with all products from the Swiss manufacturer, musicality comes first! And you can hear the result! 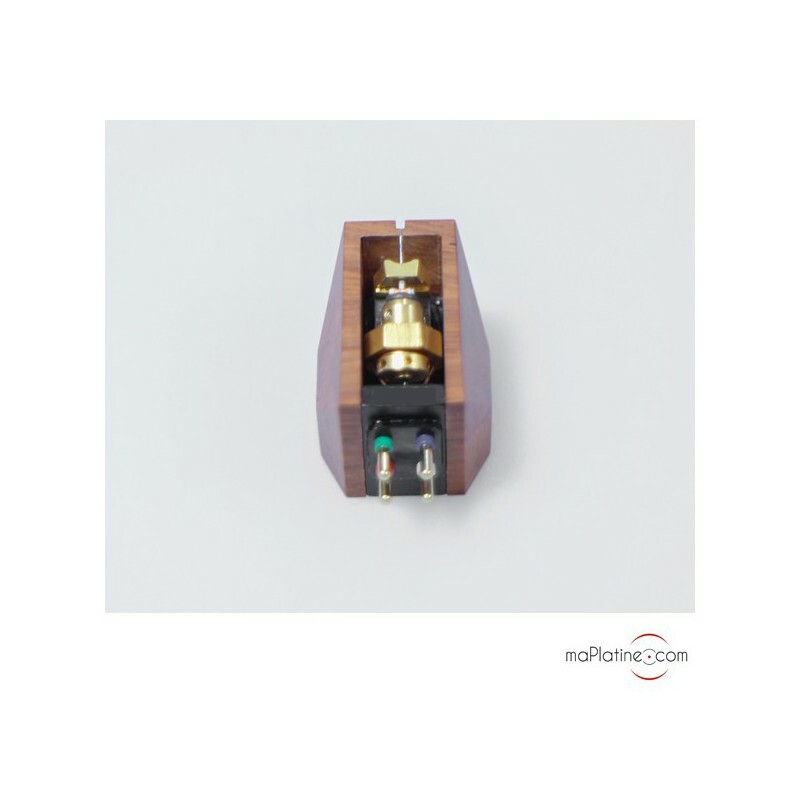 A cartridge which will show its true potential when paired with systems or turntables with a slightly dark balance. Cette cellule est venu remplacer la Ply de ma Wilson Benesch Circle qui avait été victime d'un accident "domestique". Quel gain en qualité!!! Tout y est : la musicalité, la précision, l'étendue du spectre. Le seul point de vigilance tient au faible niveau de sortie. Ce n'est pas un défaut, il faut juste en tenir compte dans le choix du pré phono. Mille mercis pour votre conseil qui s'avère très avisé.